When you search for your business on Google, does it show up as a registered business listing, or only as a website search result? 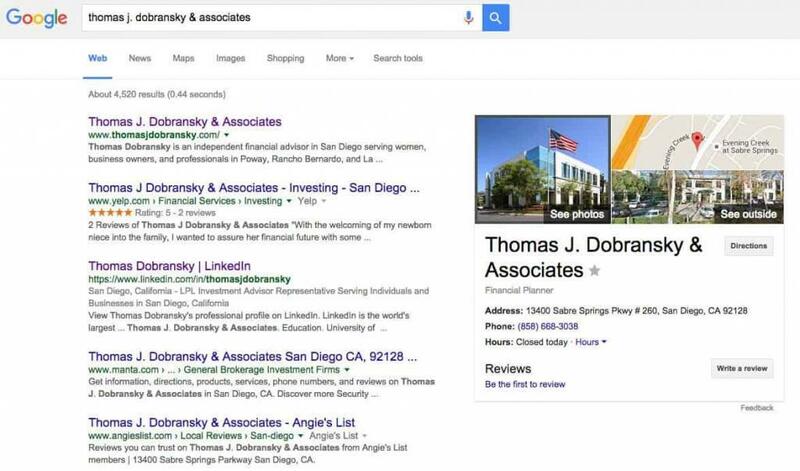 By registering your business with Google and other search engines, you can be sure that your firm will show up on Google as a verified business listing. 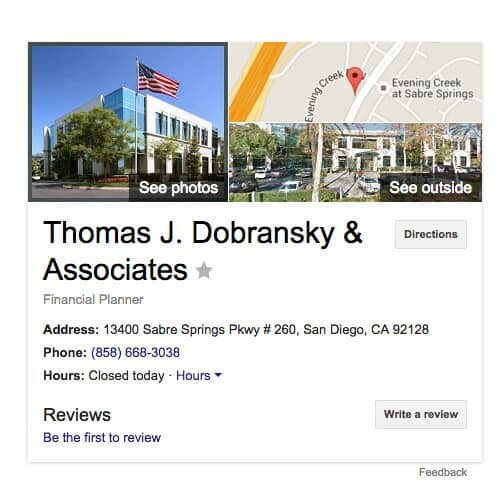 Verified business listings show up as separate search results that include photos, a map, and relevant information about your business. You can certainly register your business yourself for free with all of these providers. 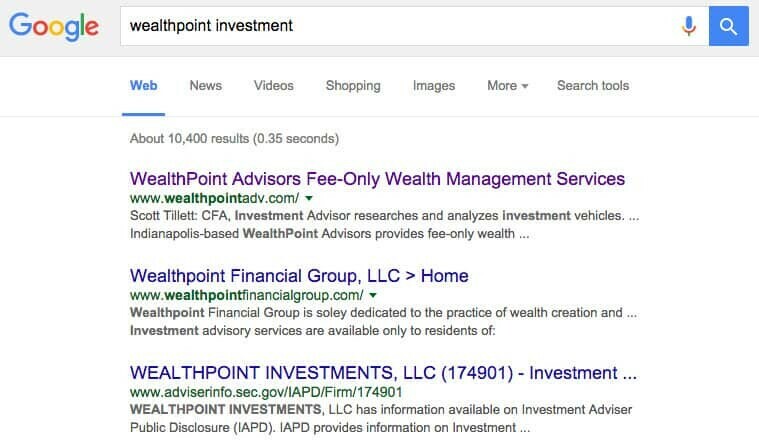 Or you can check out our SEO For Financial Advisors service. 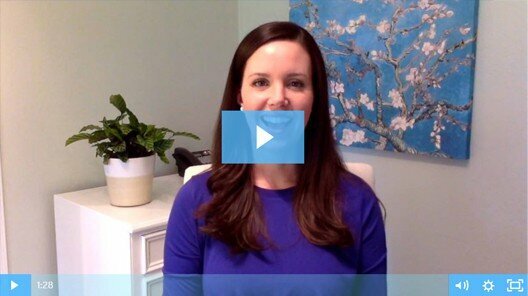 Previous Post: « How Does An Independent Marketing Consultant Help Financial Advisors?